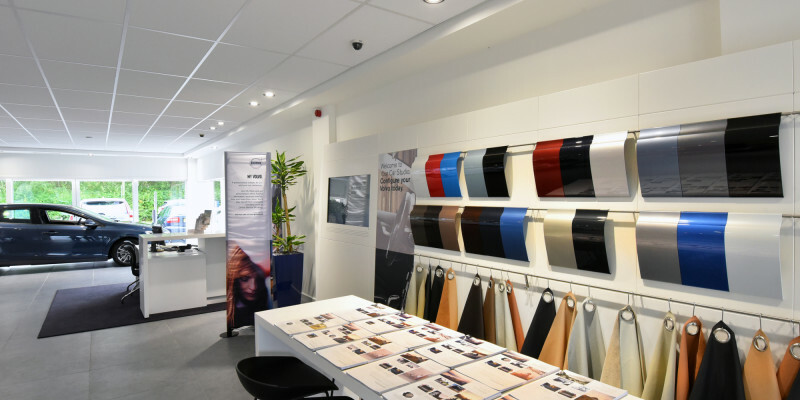 Remodeling of an existing dealership to increase sales space and improve customer experience including rebranding to current standards as part of Volvo’s roll out. Works included increasing the showroom space, new customer facilities, new technician facilities, new workshop equipment and flooring and a kitchen. Creation of client focused sales space and improvements to staff facilities in line with Volvo UK’s national roll out. The project was fast tracked to cause minimal disruption to garage operation and included improving the retail space and creating visibility into workshop areas whilst maintaining the day to day operation of the dealership. Utilising their own experienced management and workforce ID Interiors completed this project to the brand and client aspirations. The works involved significant internal remodeling including the demolition of a number of walls and diversion of existing services. These works were carefully coordinated and where possible undertaken out of hours allowing the dealership to trade throughout the project. ID Interiors utlised their wealth of experience across all fit out sectors to deliver an exemplary project to quality, programme and budget requirements. We chose ID Interiors because of their previous experience in delivering projects of this nature. We were extremely happy with their approach to the project and have awarded them a second phase of works due to their commitment and willingness to work with us.